Dominicans follow Jesus in the footsteps of St. Dominic de Guzman, who founded the Order of Preachers early in the 13th century in response to a critical need he had encountered in the Church. The saving truth of the Gospel of Jesus Christ had been distorted and corrupted, leaving the ordinary people of his day in desperate need of sound preaching and good example. He founded an order to address these needs. For the Dominican Sister of Peace, Preaching the Gospel is the heart of her Dominican vocation. This Dominican legacy bestowed by the Holy Spirit (Dominican charism) and handed on to us by St. Dominic, invites each Sister to a life of holiness, integrity, peace, and compassion. 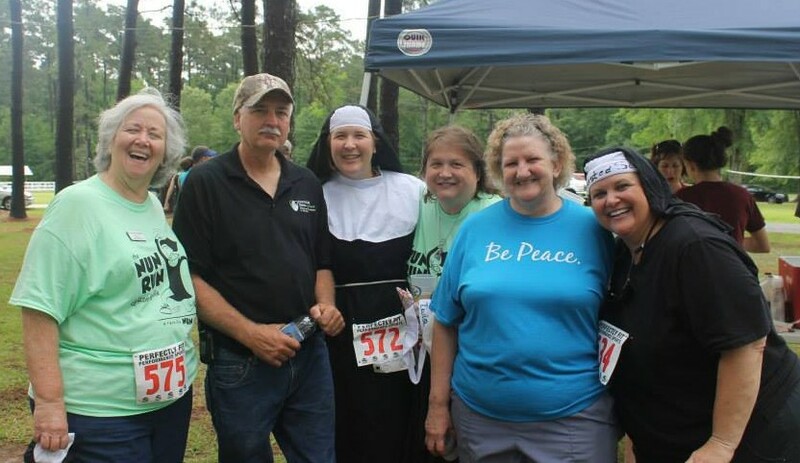 As Dominican Sisters of Peace, we strive to proclaim the Gospel of Jesus Christ in word and deed. Dominican preaching is grounded in the search for Truth through study. Dominican dedication to study helps equip the preacher with the wisdom to ask difficult societal and ecclesial questions and to engage in a process that can uncover what is truly of God in the multiple responses to these questions. Our encounter with God in prayer and contemplation nourishes our relationship with the Triune God and impels us to care for our neighbor. Essential to living Dominican life are the relationships we share in community. Living, working, and praying with others committed to Dominican Apostolic Life provides energy and enthusiasm for living our vowed life to the fullest.